UPDATE!!! 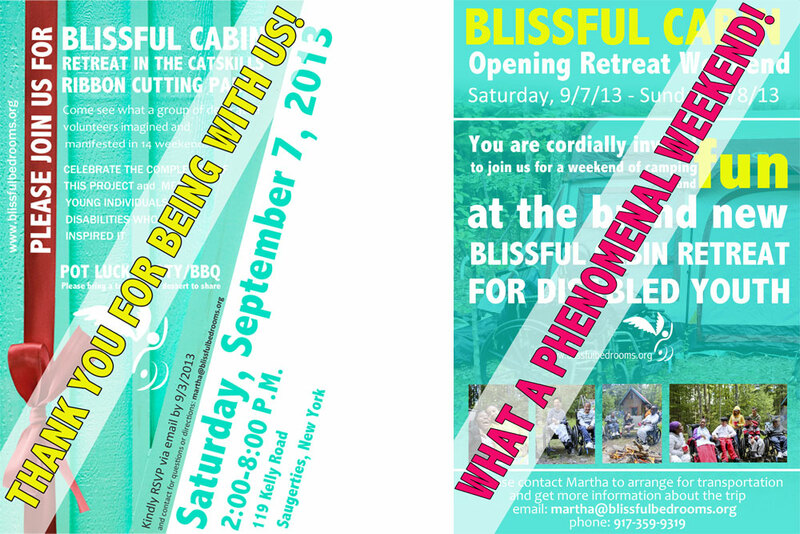 After four months of 12 onsite, volunteer build weekends between May and September, 2013, as well as several more months of focused work prior to that of designing, planning and preparation by the Blissful Bedrooms Core Team, the Blissful Cabin has been manifested!!! In fact, this sweet country clubhouse has already been christened, filled and surrounded with the love and joyful expressions of the very people who inspired it! During the weekend of 9/7-9/8/13, we held our Opening Retreat Weekend when a lucky group of awesome people were introduced to this special vacation haven and camped out at the Blissful Cabin Retreat for the very first time (see photos below). 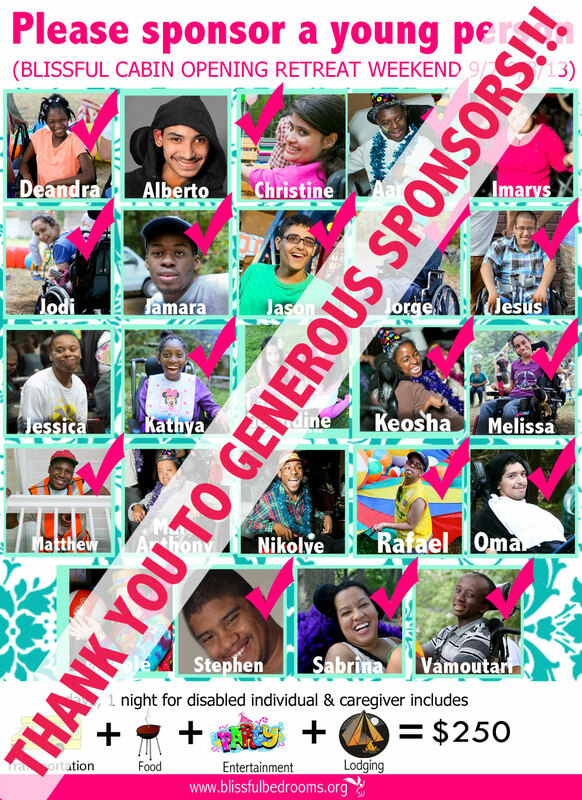 This included approximately 20 young individuals with a variety of disabilities and their family members, as well as the volunteers who dedicated their weekend to making sure the experience was wonderful, exciting and safe. One family from the Blissful Bedrooms community, with a severely disabled child, slept in the cabin while the rest of the guests camped out in large, spacious tents arranged in a specially prepared, wheelchair accessible campsite just for this purpose with a path that is intimately connected to the cabin. All had a phenomenal time and were deeply moved and positively affected by the experience, thus bringing this intense and laborious act of love and the devoted volunteerism and effort associated with the Blissful Cabin Retreat project full circle. Besides the amazing fun everyone had, this gathering served to absolutely validate that all of the hard work, perseverance and backing of so many altruistic individuals was well worth the effort!! Abundant thanks and gratitude to all the volunteers and donors and supporters who contributed to this beautiful and miraculous outcome!! Words could never express how grateful we are to all of the people who contributed physically and/or financially to building the Blissful Cabin Retreat. 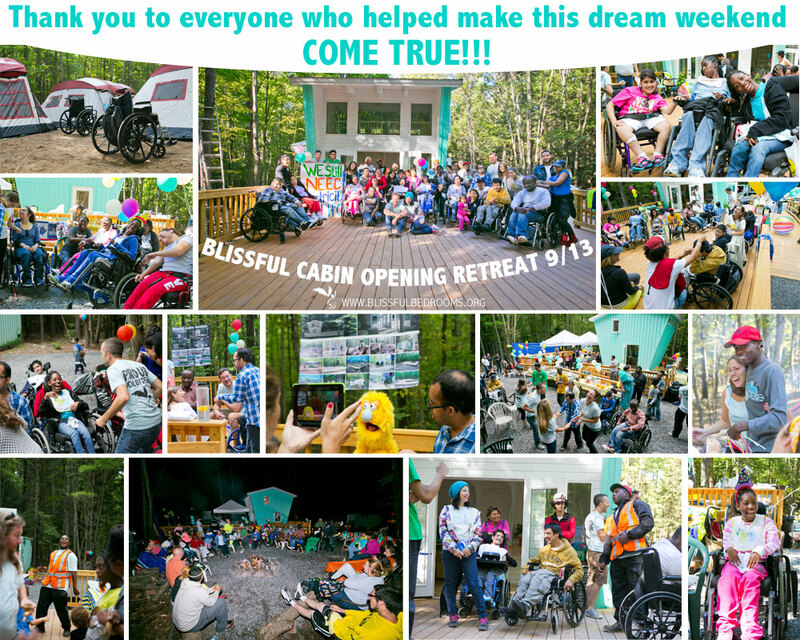 Much gratitude and appreciation to everyone who contributed and helped to build the Blissful Cabin Retreat for Disabled Youth!!! 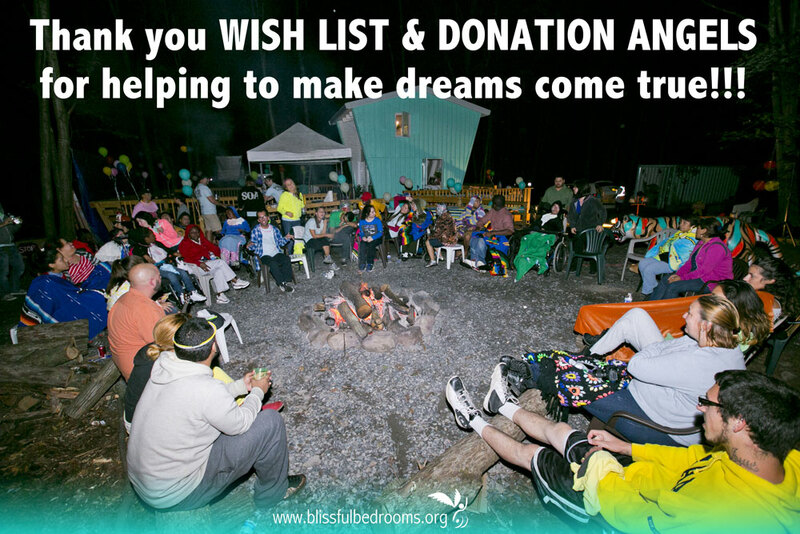 Infinite thanks and recognition to all of the generous supporters below who purchased an item(s) off of our Blissful Cabin Opening Retreat Wish List on Amazon and/or sponsored this special event by making a donation or providing food/supplies!!! This fulfilling gathering could never have happened without you!